I have been doing some pattern testing for Juliet @ Tartankiwi of late and decided to make a quilt of the tiles with some of the other patterns that she has made available. The third block is the New Zealand Silver Eye (or Wax eye). 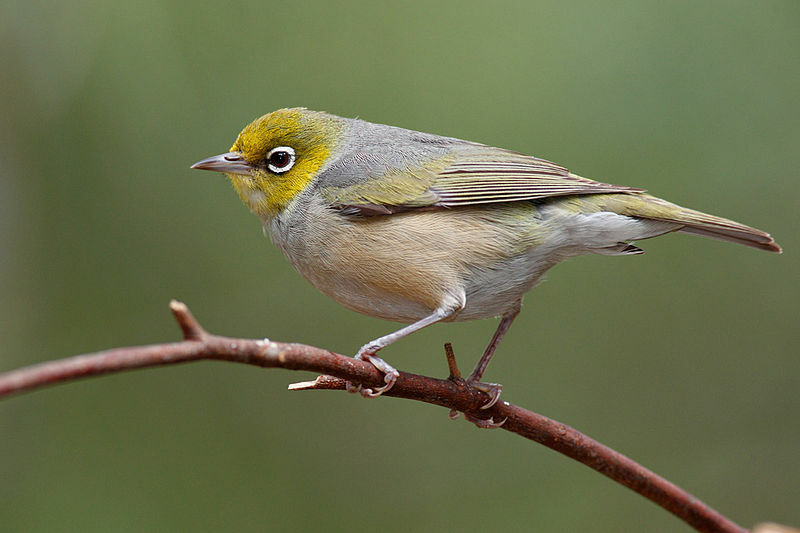 The wax eye is a New Zealand native bird that is protected. It has a beautiful ring of white/silver around the eye and a head of bright yellow feathers. The wax eye pattern by Juliet was a lot of fun to make. It had a great balance between joins of pieces and piecing. I might have gone a little too scrappy for this third block, but here is the finished test block at 10.5″. Juliet’s patterns can be found on Craftsy. Linking up with Amanda Jean @ Crazy Mom Quilts for Finish it up Friday and with Kristy @ Quiet Play for her paper piecing party. 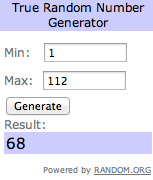 Now, finally the winners for last week giveaway are below. I am sending each winner and email to get your postal addresses. Congratulations and thank you to all who participated. #14 is ShawnJ who wins the Curtis Stone cookbook. 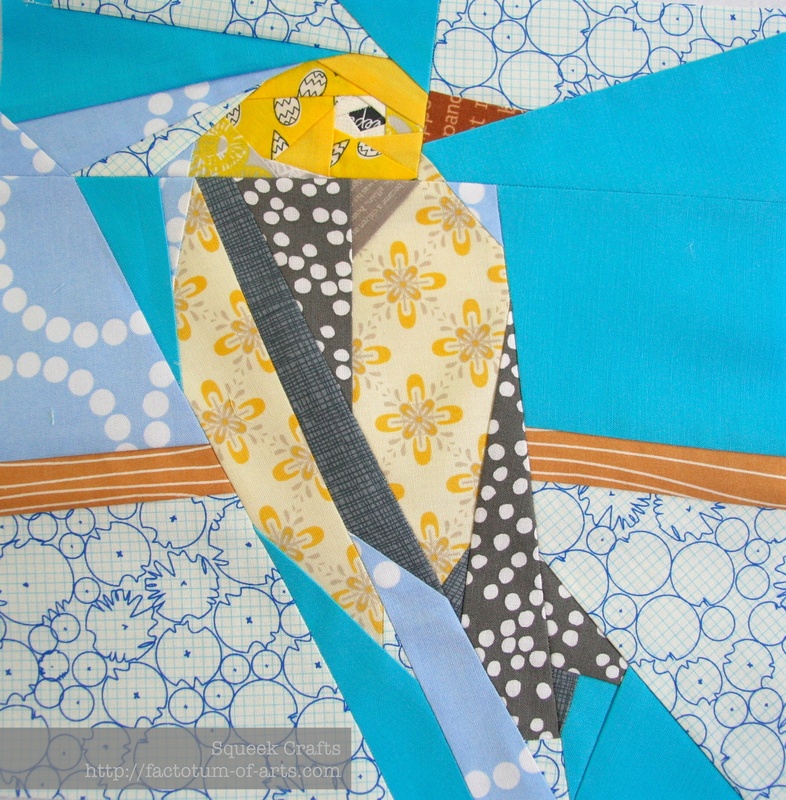 This entry was posted in Uncategorized and tagged Finish it up Friday, giveaway, New Zealand bird quilt, paper piecing, tartankiwi, wax eye, winners on September 14, 2013 by mlwilkie. You are making me want to do a paper-pieced quilt! Your wax-eye block is beautiful. I love your yellow fabric choice for the eye. The blocks look great all together too! Thanks, I am having a lot of fun doing these blocks…really just improv’ing as I go along which is my favorite way of doing things. These are so cute. I would love to find one with a red bird. That’s so sweet of you. Thanks. I’m looking forward to seeing all your birds together in a quilt. Great paper piecing, the fabric choices really make them come alive! I love your birds! You are really tempting me to finally try paper piecing. Juliet’s patterns are reminiscent of Charley Harper’s artwork. I am psyched about the Charley Harper bird fabric coming out next month. Oh my! Just a little detail here!! Amazing work! 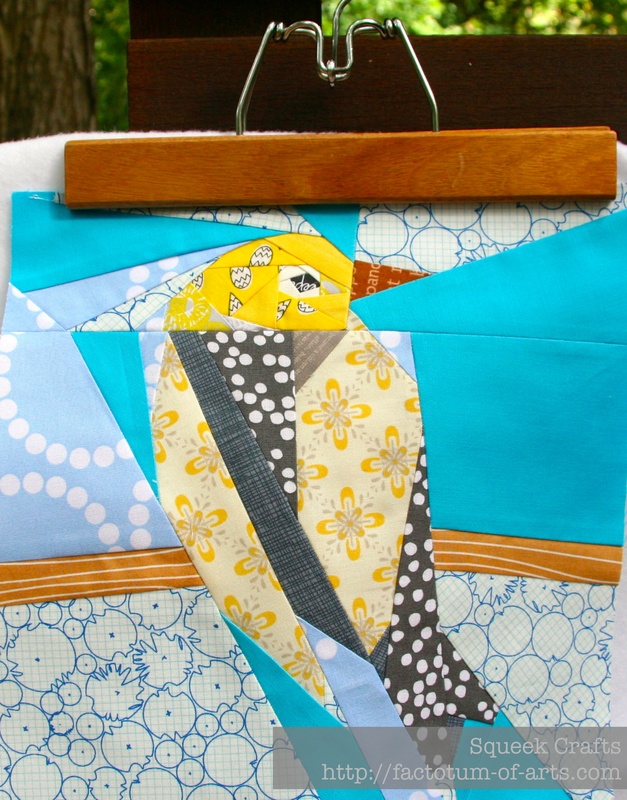 Your fabric choices are always perfect for these pretty birds! Each one is incredible! Great job! Thank you so much, its all a last minute decision on the fanric but I am happy to say my fabric addiction is paying off and have plenty to choose from. The birds are beautiful! 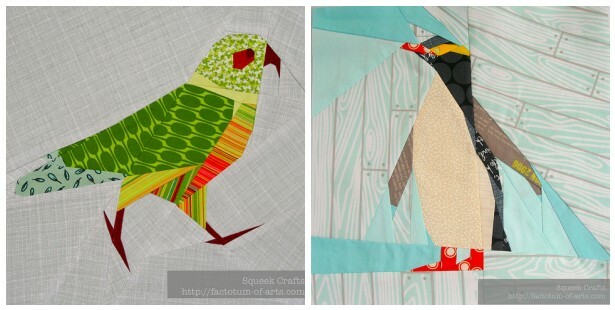 I agree with everyone else – your birds make me want to try paper piecing. Way to inspire, Michelle! the birds are wonderful. Amazing patterns and your fabric choices work so beautifully. I am loving the birds! When I eventually work through my ‘to-do’ list and get to paper piecing I will be coming to you for advice! You are more than welcome to ask questions any time 🙂 I think you will find it fun. Your birds are looking great! Loving your bird blocks! They are looking great!